American Pharoah is an English American Thoroughbred stallion. Originally from the USA, he is four years old. The spelling of his name as Pharoah instead of the usual Pharaoh owes itself to the unfortunate inversion of letters in an official document. His father, Pioneerof the Nile (with no space between Pioneer and of...), was one of the best horses of his generation, who took only 2 years to race his way to the Group 1 level.His value has continued to climb, thanks largely to the success of his son American Pharoah, and his stud fee was set at $150,000 in 2016. For the sake of comparison, his son American Pharoah’s stud fee is already $200,000. The pedigree on the maternal side is less prestigious. 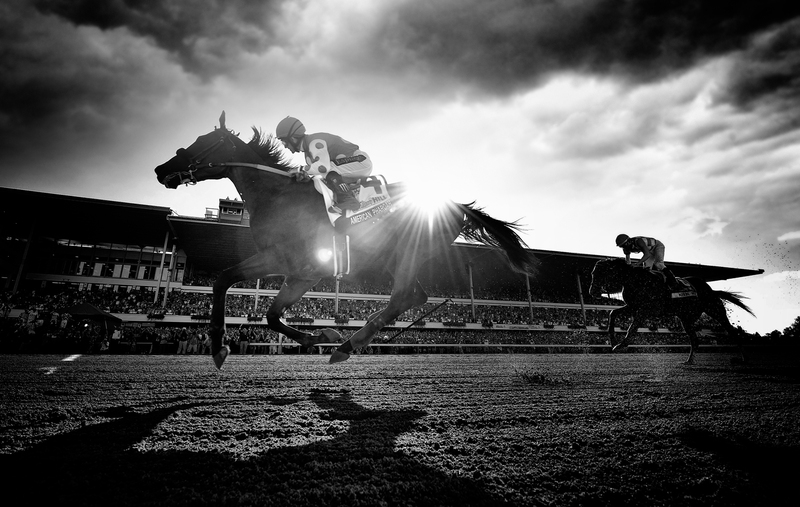 ...Afterward, Forbes estimated his value at $50 million; Ahmed Zayat bought him for $300,000 in 2013. On the occasion of the award ceremony at Claridge’s in London, owner of the horse Ahmed Zayat (1962), an American of Egyptian origin, his trainer Bob Baffert (1953 – USA), and his jockey Victor Espinoza (1978 – Mexico) accepted the traditional vase given to the winner of the Longines World’s Best Racehorse award, along with a certificate presented by Louis Romanet, president of the International Federation of Horseracing Authorities (IFHA). American Pharoah was named world’s best racehorse with a score of 134, at the top of Longines World’s Best Racehorse Rankings, established over the course of one year by international handicappers based on the horse’s performance during international elite races. The previous year it was Japanese horse Just A Way that was named Longines World’s Best Racehorse 2014, with a score of 130. 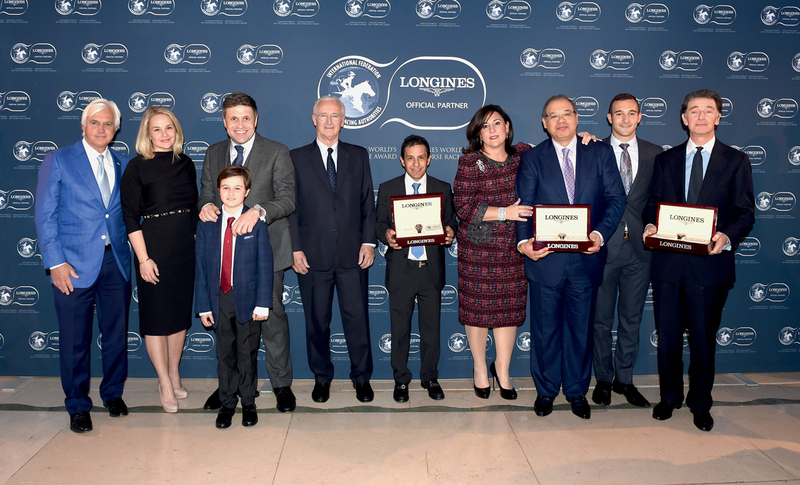 London, england – the longines world's best racehorse award at claridge's: bode baffert, jill baffert, juan-carlos capelli, louis romanet, victor espinoza, joanne zayat and ahmed zayat accept the longines world’s best racehorse award. 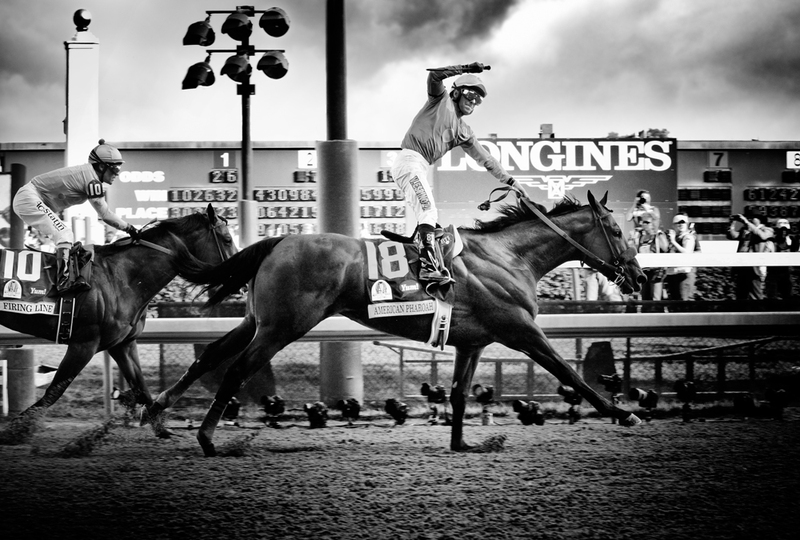 Supreme winner – for the first time in 37 years – of the American Triple Crown (the Kentucky Derby, Preakness Stakes, and Belmont Stakes events), American Pharoah also won best performance of the year during his last race of 2015, the Breeder’s Cup Classic, a race with a prize of $5 million. 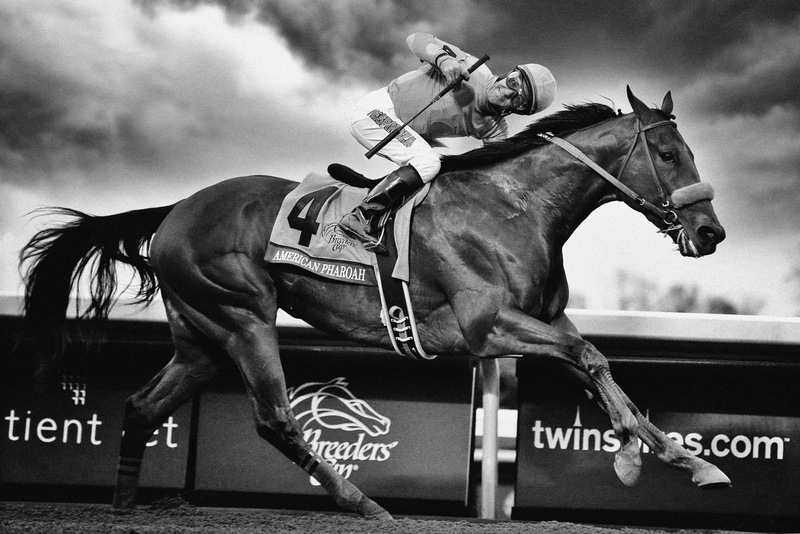 Afterward, Forbes estimated his value at $50 million; Ahmed Zayat bought him for $300,000 in 2013. British horse Golden Horn came in second with a score of 130, whereas French horse Treve and American horse Shared Belief tied for third place with a score of 126. The members of the American Pharoah team also each received a Longines watch specially created in honor of the Triple Crown won by their horse this year. Produced in an edition limited to 180 pieces, this 42-mm model is operated by a self-winding mechanical chronograph movement, set in an 18-carat pink gold case. A commemorative inscription representing the Triple Crown is visible on the movement through the sapphire crystal. The owners of the second- and third-place horses received a Conquest Classic presented by Juan-Carlos Capelli, vice president and international marketing director of Longines, along with a certificate presented by Louis Romanet. The qatar prix de l’arc de triomphe wins for the year 2015 with a score of 125.75. this new prize, the trophy of which represents a proud horse’s head, will now be given each year. 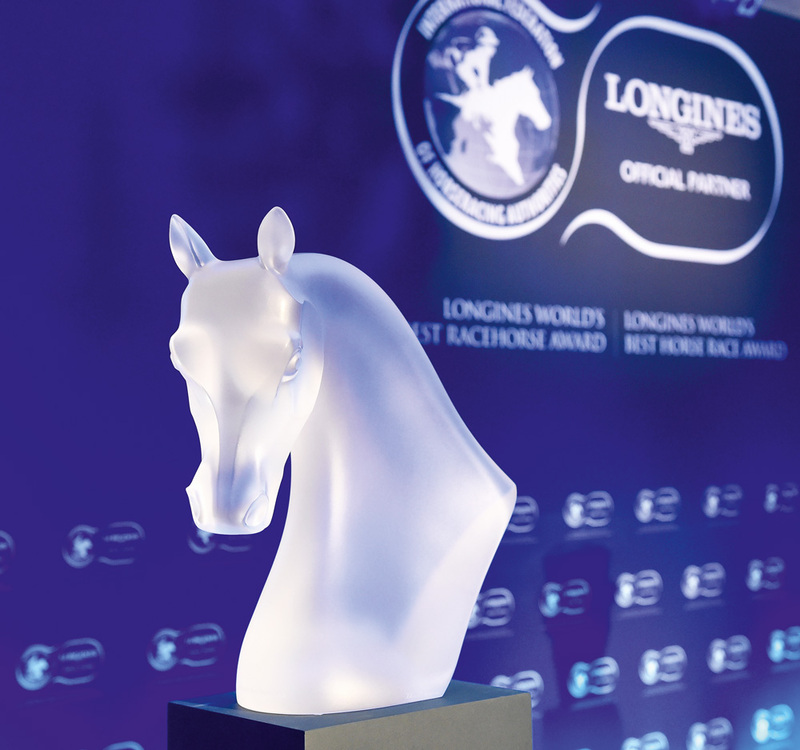 During the ceremony, a Longines World’s Best Horse Race award was also given for the very first time. 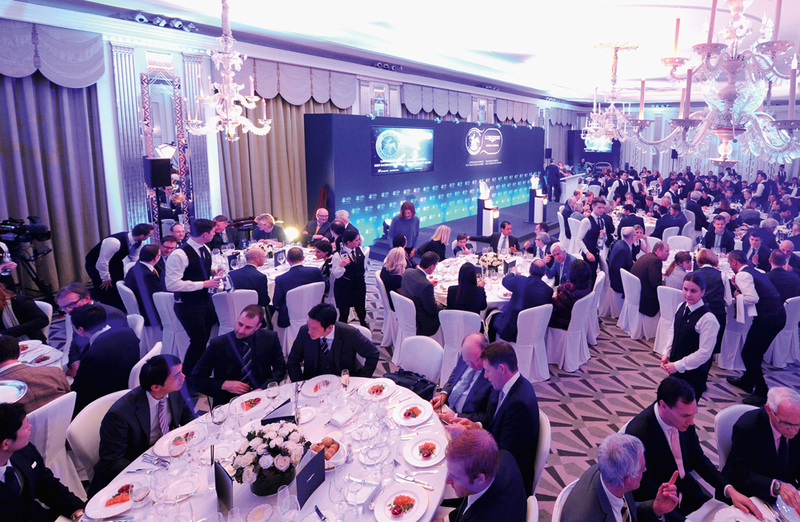 For the year 2015, the award went to the Qatar Prix de l'Arc de Triomphe, with a score of 125.75. This new award, the trophy of which represents a proud horse’s head, will be given each year to the highest ranked race out of international Group 1 races, according to a ranking established by a panel of international handicappers.The rankings of the four best horses in each race over the previous three years are used as a reference for scoring. In 2015, it was Golden Horn that won, whereas Treve had previously taken home the prize with two consecutive victories in 2013 and 2014. The Longines brand has been involved in horse racing since 1878, when it launched a chronograph displaying a jockey with his horse engraved on its back. Today Longines is the Official Partner and Official Timekeeper of the IFHA. 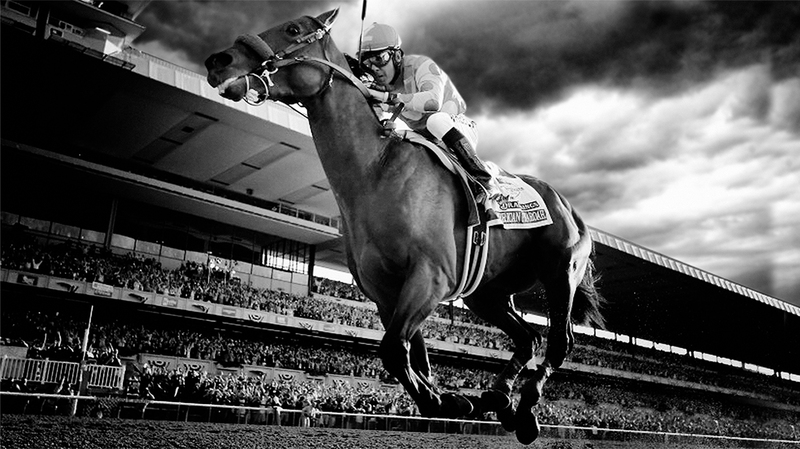 It also lends its name to the Longines World’s Best Racehorse Rankings. 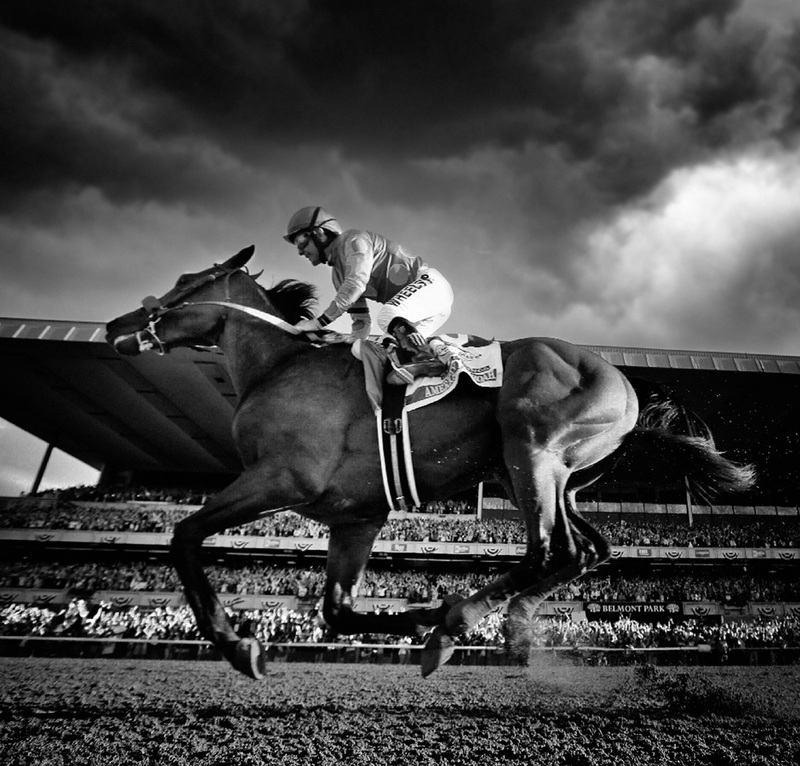 Other awards established to recognize excellence in the world of flat racing were developed within the framework of the long-term partnership between Longines and the IFHA. The Longines and IFHA International Award of Merit and Longines World’s Best Jockey awards were created to honor horsemen and jockeys who excel at the highest level in their discipline. Several horse tracks and competition grounds now fly the brand’s colors. It is affiliated with the most famous and legendary flat races in the world, such as the Prix de Diane Longines, the Dubai World Cup, the Qatar Prix de l’Arc de Triomphe, the Royal Ascot, and the traditional Kentucky Derby.